We will learn how to use the Waveshare IPS 7inch HDMI LCD touch screen with Raspberry PI 3 model B board. 7 inch Capacitive Touch Screen LCD (7inch HDMI LCD (C)), HDMI interface, supports various systems. To use the LCD with the Raspberry Pi official image, driver should be installed first. However, for the first testing, you can use our provided image directly. To work with the Waveshare provided image make sure the hardware connection is correct and connects fine. Make sure the image in TF card is burnt correctly. The PWR will keep on and the ACT will keep blinking when the Raspberry Pi starts up successfully, in case both of the two LEDs keep on, it is possible that the image was burnt incorrectly OR the TF card was in bad contact. You can read more about Waveshare IPS 7inch HDMI LCD touch screen here. You can find 3D drawings here. Waveshare IPS 7inch HDMI LCD touch screen pnale dimentions are here. 7inch HDMI LCD Bicolor case assemble instructions are here. You can find datasheet for Goodix GT811 IC chip here. You can find datasheet for voltage regulator AMS1117 chip here. You can find datasheet for ATMLH724 04DM EPPROM (24C16 SMD) IC chip here. You can find datasheet for ARM Cortex GD32F103 IC chip here. You can find specification of TEXAS INSTRUMENTS TFP401APZP (71A91RTG4) IC chip here. Out of date, Not available for any Raspbian OS later than 27-May-2016. This Waveshare IPS 7inch HDMI LCD touch screen supports Windows 10/8.1/8/7 OS. For the Windows 10/8.1/8 OS, the touch screen supports multi-touch up to 5 points. For some Window 7 OS, the touch screen supports single touch only. Turn ON the Backlight switch on the back of Waveshare IPS 7inch HDMI LCD touch screen panel. Connect the Waveshare IPS 7inch HDMI LCD touch screen to your PC: 2.1 Connect the Touch port (micro USB Port) of Waveshare IPS 7inch HDMI LCD touch screen to your PC USB port (micro USB cable required); 2.2 Connect Display port (HDMI Port) of Waveshare IPS 7inch HDMI LCD touch screen to your PC HDMI Port(HDMI cable required). Please first connect the Touch port and then connect the HDMI Port. Note: When multiple displays are detected by your PC, the Waveshare IPS 7inch HDMI LCD touch screen can only be used to control the cursor on main display. So, it's proposed to set the Waveshare IPS 7inch HDMI LCD touch screen as the main display. Some users want to connect more than one Display to their PC. Let's check how to set the touch screen to control its display separately. For example when you connect touch screen to your PC with monitor or laptop. 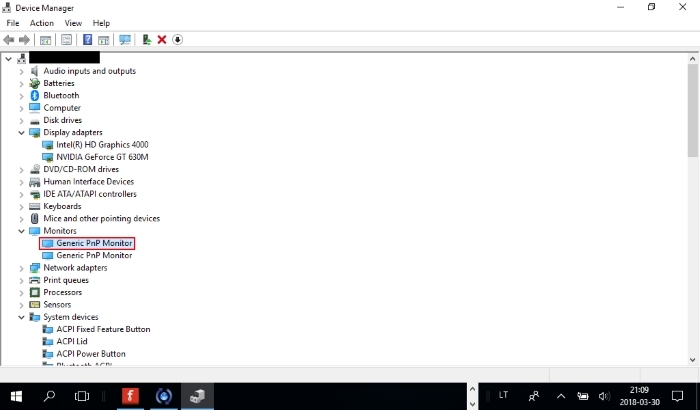 You see that the Windows desktop picture is on both PC monitor and touch screen. If you use the MS Windows 10 OS in Windows settings->System->Dispaly->Multiple displays field you have Duplicate these displays selected by default. It means that both screens diplay the same information. If you want to swap between PC monitor (main screen -1) and touch screen (secondary screen -2 ) you can do it by selecting Show only on 1 or Show only on 2 in Windows settings->System->Dispaly->Multiple displays field. When you working with Raspberry Pi 3 model B board, you need to set the resolution of the Waveshare IPS 7inch HDMI LCD touch screen by yourself otherwise the Waveshare IPS 7inch HDMI LCD touch screen will not work. 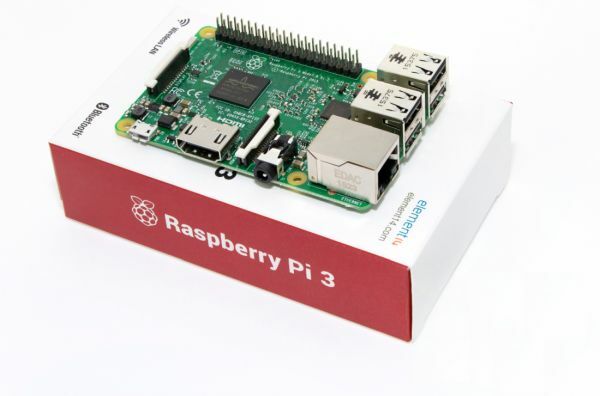 We will use the Raspberry PI 3 board with Raspbian OS installed. Connect the Waveshare IPS 7inch HDMI LCD touch screen to your Raspberry PI 3 board: 2.1 Connect the Touch port (micro USB Port) of Waveshare IPS 7inch HDMI LCD touch screen to your Raspberry PI 3 board USB port (micro USB cable required); 2.2 Connect Display port (HDMI Port) of Waveshare IPS 7inch HDMI LCD touch screen to your Raspberry PI 3 board HDMI Port (HDMI cable required). 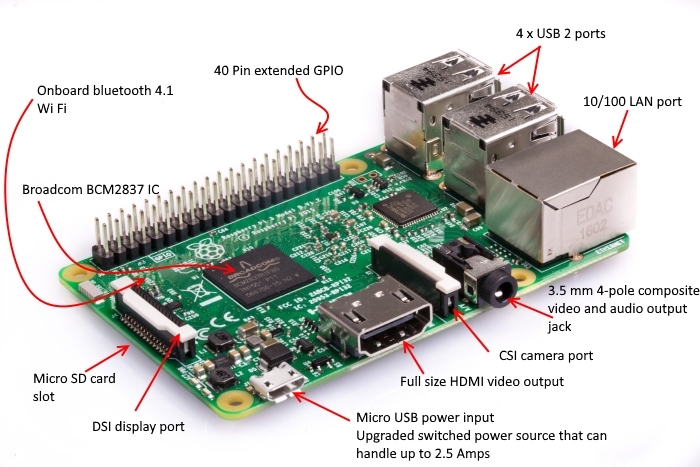 Please first connect the Touch port and then connect the HDMI Port.Make sure that Raspberry PI 3 switched off. If you want to use Waveshare IPS 7inch HDMI LCD touch screen with Raspberry PI 3 board you must modify config.txt file. This file located in Boot folder on your MicroSD card with Raspbian OS. Insert Micro SD card to SD Card Reader in your PC (use SD card adapter). Check for config.txt file. The Raspberry Pi uses a configuration file instead of the BIOS you would expect to find on a conventional PC. The system configuration parameters, which would traditionally be edited and stored using a BIOS, are stored instead in an optional text file named config.txt. This is read by the GPU before the ARM CPU and Linux are initialised. It must therefore be located on the first (boot) partition of your SD card, alongside bootcode.bin and start.elf. This file is normally accessible as /boot/config.txt from Linux, and must be edited as root. From Windows or OS X it is visible as a file in the only accessible part of the card. 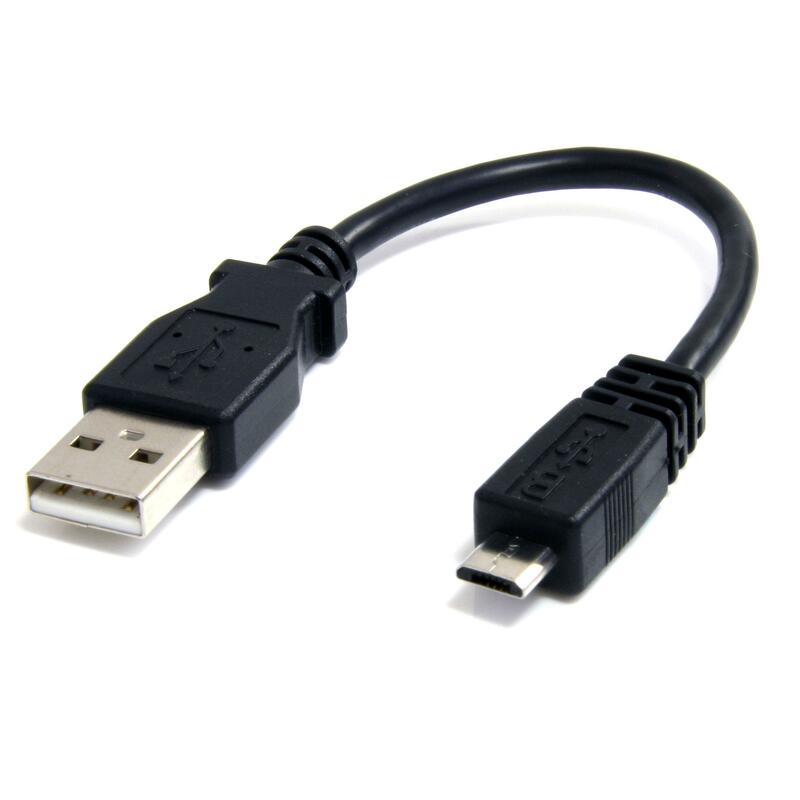 max_usb_current=1 hdmi_group=2 hdmi_mode=87 hdmi_cvt 1024 600 60 6 0 0 0 hdmi_drive=1 .Make sure that there are no spaces on both sides of the equal sign. Save the config.txt file and insert the Micro SD card back to your Raspberry PI 3 board. The Raspberry PI desktop will start up. (When Touch input is working it means that the Waveshare IPS 7inch HDMI LCD touch screen firmware is Rev 2.1. If it doesn't work - the Waveshare IPS 7inch HDMI LCD touch screen firmware is 1.1, see more information here). If you cannot find the config.txt file on your boot partition, you can create it as a new text file or use leafpad editor. To use leafpad editor with elevated privileges in order to modify config.txt file you must start leafpad from the command line of Terminal window. Type sudo leafpad. The leafpad editor will open. Go to File->Open. Find Boot folder, config.txt file will be in Boot folder (/boot/config.txt). Press Enter button. 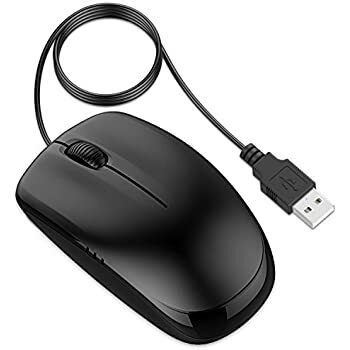 The file will open and you can add the following lines: max_usb_current=1 hdmi_group=2 hdmi_mode=87 hdmi_cvt 1024 600 60 6 0 0 0 hdmi_drive=1 .Make sure that there are no spaces on both sides of the equal sign. 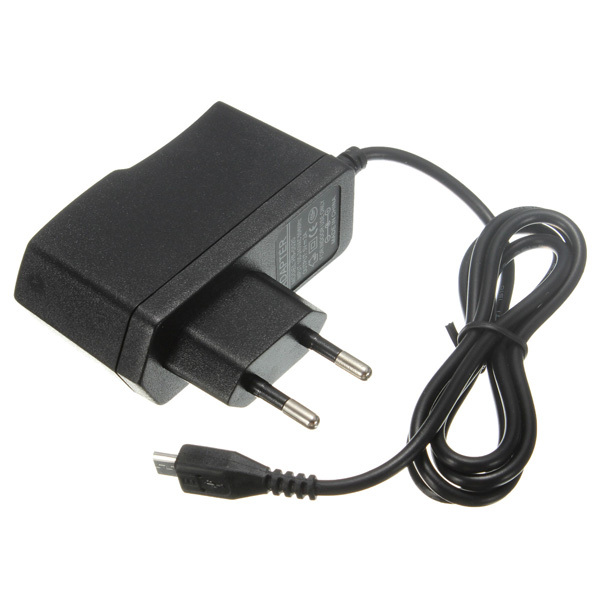 Setting max_usb_current=1 sets the available current over USB to 1.2A (default is 600mA). This can help if you have a decent power supply (2A, at least) and need to power the external Touch screen display. For supporting HDMI modes that aren’t from the official CEA/DMT list of modes use hdmi_mode=87 & then define the CVT – Coordinated Video Timings The hdmi_cvt 800 400 60 6 0 0 0 defines the timings of the component video signal hdmi_cvt=<width> <height> <framerate> <aspect> <margins> <interlace> <rb> width width in pixels, height height in pixels, framerate framerate in Hz, aspect aspect ratio 1=4:3, 2=14:9, 3=16:9, 4=5:4, 5=16:10, 6=15:9, margins 0=margins disabled, 1=margins enabled interlace 0=progressive, 1=interlaced. Go to File->Save or just use Ctrl+S to save the config.txt file. Reboot your Raspberry PI 3board as any changes will only take effect after you have rebooted it. Go to Raspberry icon->Shutdown..->Shutdown options Shutdown. Reconnect Micro USB power supply to Raspberry PI 3 board micro USB input. The Raspberry PI desktop will start up. The touch screen will show correct view now. (When Touch input is working it means that the Waveshare IPS 7inch HDMI LCD touch screen firmware is Rev 2.1. If it doesn't work - the Waveshare IPS 7inch HDMI LCD touch screen firmware is 1.1, see more information here). Some people may find that if they didn't modify the config.txt file at first time, then when they modify it and reboot their Raspberry PI 3 board, the Waveshare IPS 7inch HDMI LCD touch screen will be flickering. In this case, power off the Waveshare IPS 7inch HDMI LCD touch screen and put it aside for several hours to wait for the flickering disappear, and test it again. Please make sure you have set the corresponding resolution as per our instruction before using it. Resolution of Ubuntu Mate OS or Windows 10 IoT Core OS can be set properly by editing config.txt. For Raspberry Pi Zero / Zero W: if you've used an SD card on a Raspberry Pi 3 board and then attached the card to the Raspberry Pi Zero, the touch screen often doesn't work. In such cases, you have to write a fresh system image to the SD card. The first boot up must be done on the Raspberry Pi Zero but not Raspberry Pi 3, due to initialization for a corresponding device. To rotate the Waveshare IPS 7inch HDMI LCD touch screen display, you can add this linet to the config.txt file: display_rotate=1 #1: 90; 2: 180; 3: 270 Save the file and reboot your Raspberry PI 3 board. The touch will work improperly. You need to rotate the touch same as display. Save the file and reboot your Raspberry PI 3 board. After completing these steps the Waveshare IPS 7inch HDMI LCD touch screen rotate 90 degrees both display and touch. Note: 90 degree: Option "CalibrationMatrix" "0 1 0 -1 0 1 0 0 1"; 180 degree: Option "CalibrationMatrix" "-1 0 1 0 -1 1 0 0 1"; 270 degree: Option "CalibrationMatrix" "0 -1 1 1 0 0 0 0 1". If Waveshare IPS 7inch HDMI LCD touch screen used for display only, you can upload the latest Angstrom image file to the board directly without any change. The BeagleBone will read the display parameters of the 7inch HDMI display and set the resolution to 800*480 automatically. If Waveshare IPS 7inch HDMI LCD touch screen used as a touch screen, you must to program the image file - 7inch HDMI LCD (C) Angstrom Image. Download the zip file to your PC, unzip it and get an .img file. Insert Micro SD card to your PC Card reader (use SD card adapter). Format your Micro SD card with the SD card formatter. The capacity of Micro SD card should be more than 4GB. Start the Win32DiskImager.exe, and select the system image file copied into your PC. Press the Write button to upload the image file. Insert the Micro SD card to your BeagleBone board after uploading the image file. 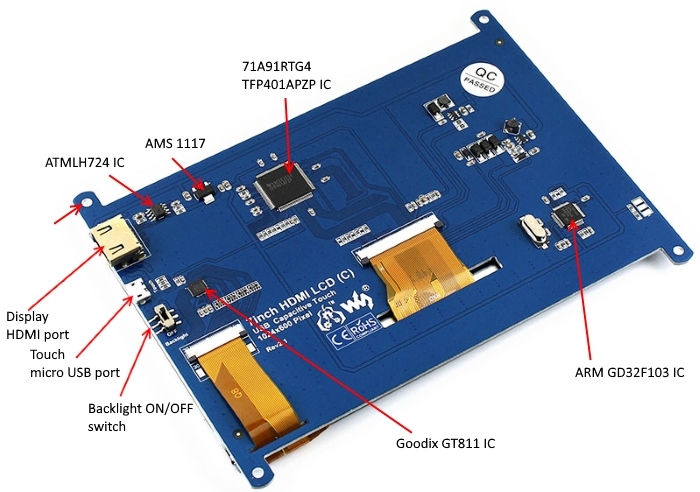 Connect the Waveshare IPS 7inch HDMI LCD touch screen HDMI port to the HDMI port of BeagleBone board (use HDMI to micro HDMI cable). Connect the USB Touch interface on the Waveshare IPS 7inch HDMI LCD touch screen to the USB interface on the BeagleBone board (use type-A-to-micro USB cable). (BeagleBone has two USB interfaces, one for host and the other for client. You should connect the Waveshare IPS 7inch HDMI LCD touch screen to the USB host interface). Press the u BOOT key and hold it till power up. Then, you will enter the system located at the Micro SD card, graphical desktop directly. Upload the image file 7inch HDMI LCD (C) Lubuntu Image to the Micro SD card. Insert the Micro SD card to your Banana Pi Pro or Banana Pi board after uploading the image file. Before powering up the Banana Pi, you should connect it to a Waveshare IPS 7inch HDMI LCD touch screen properly, since the Banana Pi may read the resolution parameters of the LCD display on startup. And the connection should be remained till the Banana Pi enters the desktop. In this case, even if you disconnect the LCD display and reconnect it again to the Banana Pi, the LCD can still work properly. Upload the image file 7inch HDMI LCD (C) Raspbian Image to the board. This image file supports the modules BananaPi Pro and BananaPi. Insert the Micro SD card to your Banana Pi board after uploading the image file. Connect the Waveshare IPS 7inch HDMI LCD touch screen HDMI port to HDMI port on the Banana Pi board (use HDMI cable). Connect the USB Touch interface on the Waveshare IPS 7inch HDMI LCD touch screen to the USB interface on the Banana Pi board w(use type-A-to-micro USB cable). We have learnt how to use the Waveshare IPS 7inch HDMI LCD touch screen with Raspberry PI 3 model B board.